Vastly evolving as one of the most affordable and tourist friendly destinations for every type of traveller is the destination of Thailand. This destination knows no boundaries, and it never fails to surprise you. Among all the items that you need to tick off from your bucket list, You can tick most of them off with one visit to Thailand. Situated in Southeast Asia,the Kingdom of Thailand borders Laos and the Kingdom of Cambodia to the east, the Gulf of Thailand and Malaysia to the south, and the Andaman Sea and Myanmar to the west. It is the 20th most populous country in the world. 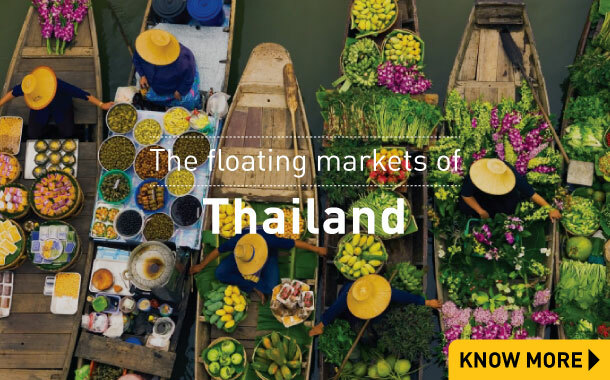 Thailand has favourable climate through out the year making it the most visited according to the Global Destinations Cities Index.When the world becomes one in Thailand, what more can one ask for? Moreover, Thailand is known to be a shopper’s paradise. 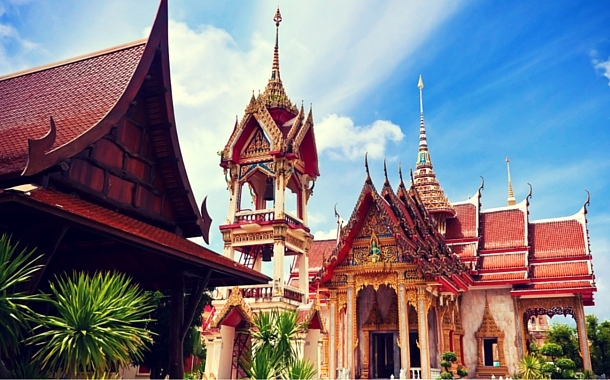 Its capital, Bangkok, has sprawling shopping malls, street markets and night bazaars. 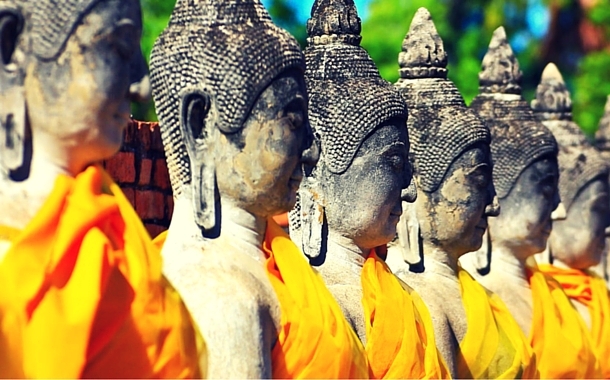 Make sure you have your bargaining skills handy, as the markets of Thailand are tough to crack. 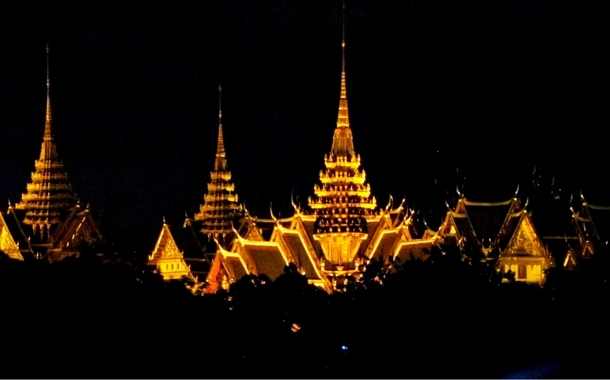 Be it day or night, Thailand is always throbbing with activities that you must not miss. The glittery street markets, the mouth watering food, the friendliness of the people- every little aspect of Thailand is remarkable. To top all the reasons why you must visit Thailand is the fact that it is affordable and easy on the pocket. A look at our top selling holiday packages will make you want to book a flight ticket right away. Book your international flight with us and get a discount of flat Rs 10,000*. Simply use the promo code on the trip details page to avail this fantastic deal. Know more! 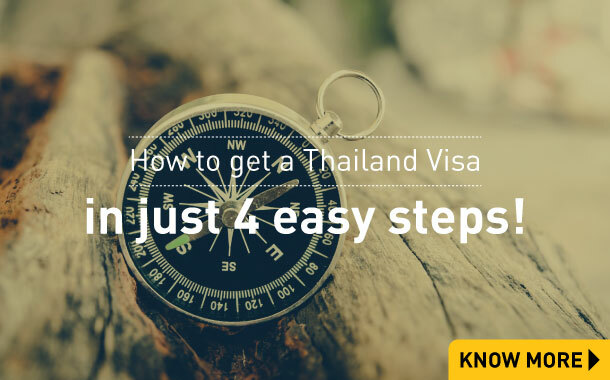 Call our travel experts on +91 22 3395 1010 and get your Thailand visa without any hassle. With a Thailand visa, and a confirmed air ticket, you could zoom off to the Kingdom of Thailand to experience the squabble in the Chatuchak market in Bangkok or even in the Patpong Night Market, or marvel at the architectural elegance of the Grand Palace which is over 200 years old, or eat Tom Kha Kai which is a thick chicken soup that has a rich coconut base on any of the stalls that line on the markets. For more information on what this destination has to offer, have a look at our blogs on Thailand. If pictures could say what words couldn't, then this photo selection of Thailand below would be a best seller. Witness the graciousness of Thailand as you scroll along these sights that are common to the Kingdom of Thailand, but for a traveller are beauty in action. 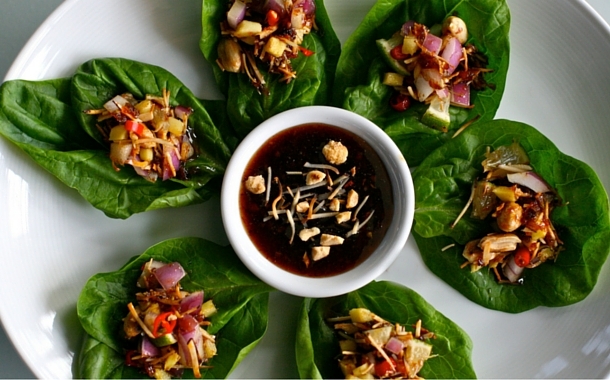 Carefully selected, these pictures are just a gist of what you are just a few steps away from. When the temperatures are concerned, Thailand is a blessed state. Be it rain or shine, Thailand wears an attitude that it often becomes difficult to be oblivious to its outdoor charms! Book your Thailand package now!